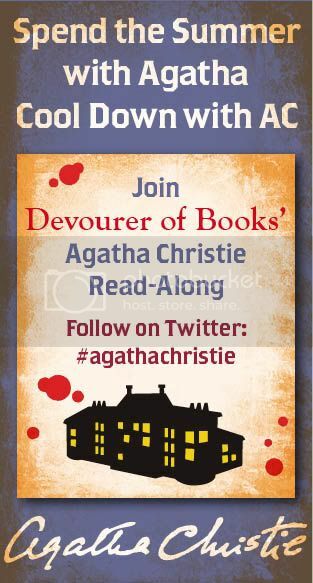 I’m so excited about this Cool Down with Agatha Christie event this summer that Harper Collins is sponsoring and I am co-hosting that I am going to be reading a LOT of Agatha Christie this summer. I just don’t have it in me to review each and every one, so I’m just going to give my brief impressions. When an elderly parson dies suddenly in the middle of a dinner party, nearly everyone assumes he died of natural causes, including Hercule Poirot. When most of the guests are reunited and another man dies in the same way, suddenly the ruling of natural causes in the first death is suspect. But who is killing these dinner guests, and why? Let me tell you, I was SO SURE I knew who the murderer was this time. When I read Towards Zero, I suspected everyone and never had any idea of the motive, but in Three Act Tragedy I was entirely set on one suspect for well over half of the book, complete with motive and everything. Of course, I was dead wrong on the murderer, but I felt good about not being too far off on motive, though. This was my first Hercule Poirot book, and I was quite surprised at how little the famous detective figured in the story. He was a character from the very beginning, but had very little to do with the story until the book was well over half way through. He did solve the mystery, but other characters did most of the investigation. Three Act Tragedy did take place after his official retirement, so I’m interested to read some of the earlier books and see if that continues to be the case, or if he is more prominent in some of his other stories. We will be discussing Three Act Tragedy on Thursday, June 23rd at BookingMama.net as part of Cool Down with Agatha Christie. If you’ve already read it, come and join us! And if you haven’t, grab it today and come join us, Christie’s books are fast reads. If you don’t have time to get to Three Act Tragedy, we’ll be discussing Christie’s Endless Night on my blog on Monday, June 27th, at which time I’ll also be giving away five copies of And Then There Were None for our July discussion. 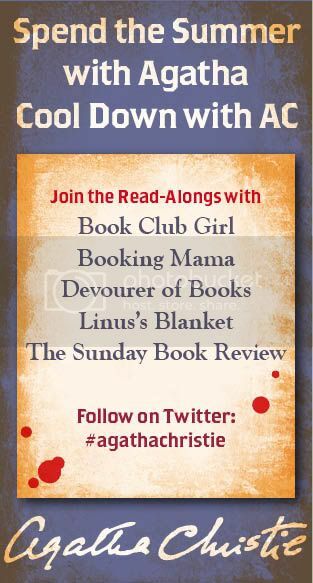 If you are interested in Agatha Christie’s standalone novels like Towards Zero, check out the readalong I will be hosting this summer. There is no murder until over 100 pages into the story. This could easily be the story of a simple family drama. The disapproving elderly surrogate mother; the man and his new wife visiting at the same time as his ex-wife; the man who has been in love with the ex-wife since childhood, and the one who has been in love with the current wife since childhood. Instead, I spent nearly 120 pages uncomfortable, wondering who would be murdered, and by whom. Far too obvious, Mary clearly couldn’t be the killer. I suspected every – or nearly every – character at one point or another, but I never came close to understanding the murderer or the crime until the big reveal at the ending. It made perfect sense, the clues were all there, but I missed them entirely. I was ever so slightly disappointed with the story elements following the big reveal, but the mystery itself was perfect, and the tension Christie built leading up to the murder was beyond masterful. It is obvious upon reading Towards Zero why she has been outsold only by Shakespeare and The Bible. Highly recommended.